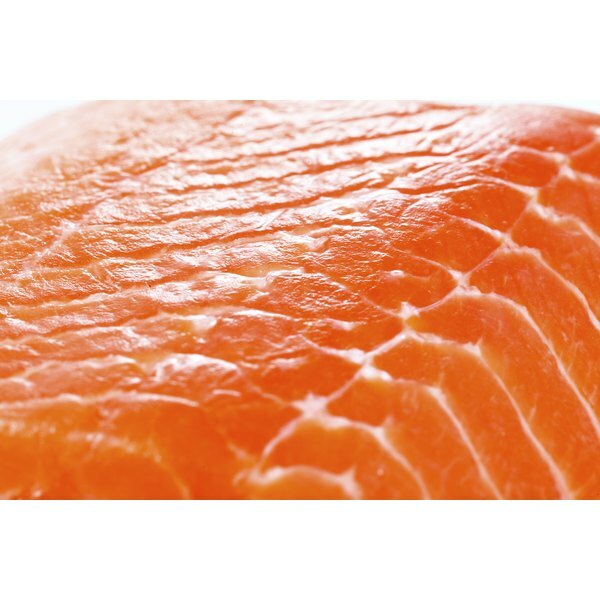 Closeup picture of a salmon steak. Jamaican jerked salmon is a spicy, savory meal. You can prepare jerked salmon under the broiler or even in your skillet, but to make your salmon in the true Jamaican style, you should grill it to lend the salmon the smoky flavor that is characteristic of Jamaican jerk. Make your own jerk seasoning, or use a prepared version to save time and reduce the expense; either way, your salmon will be tender and juicy with just the right kick of spice. Rub the salmon with 2 tbsp. olive oil and 4 tbsp. jerk seasoning. The salmon should look highly seasoned, though some of the seasoning will fall off during the grilling process as the spices form a savory crust on the fish. Place the salmon in the plastic bag and seal it. Allow the salmon to marinate in the spices for two hours in the refrigerator. Heat the grill to medium, or 350 degrees Fahrenheit. Brush the grill grates with the remaining 1 tbsp. of olive oil to prevent the salmon from sticking. Place the salmon steaks on the grill and cook for 15 minutes with the lid down. Turn the salmon and grill for an additional 15 minutes. 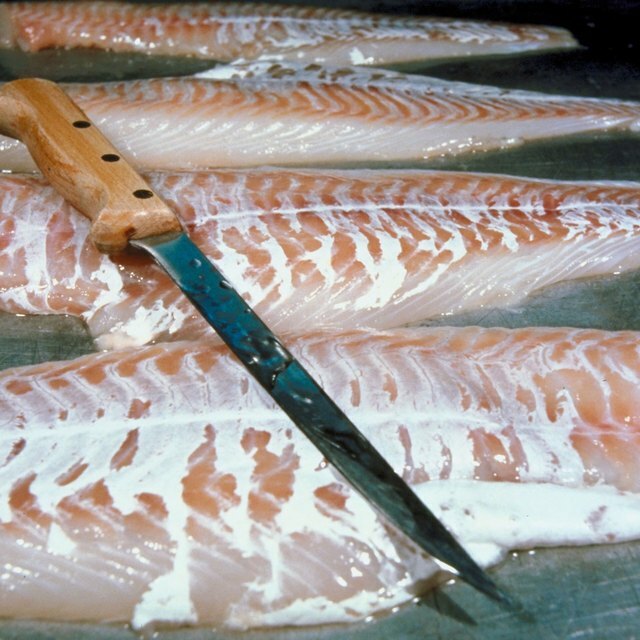 The salmon is ready when it is opaque and pink all the way through.